Refining the most widely adopted and enduring physics text available, University Physics with Modern Physics, Twelfth Edition continues an unmatched history of innovation and careful execution that was established by the best selling Eleventh Edition. Assimilating the best ideas from education research, this new edition provides enhanced problem-solving instruction, pioneering visual and conceptual pedagogy, the first systematically enhanced problems, and the most pedagogically proven and widely used homework and tutorial system available. Mechanics, Waves/Acoustics, Thermodynamics, Electromagnetism, Optics, Modern Physics. 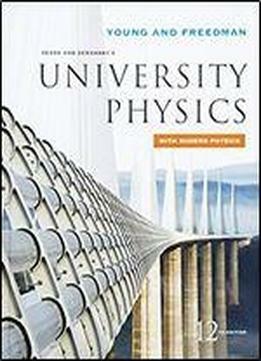 For all readers interested in university physics.